If you are using words like cheap, guaranteed, free for a limited time, then you should not be surprised to see your emails are not working when a number of recipients do not opening your email, and quite possibly are hitting delete and opting-out. Consider improving your sales message and stop sending salesy emails. A little history: according to various sources, the use of e-mail in business applications began in earnest in the late 1990′s. For those of us in sales at that time, this was a windfall. Before this amazing way to communicate with individuals, we used the phone, direct mailing and fax messaging (you remember fax machines, don’t you??) to get our offers out to our prospects. We could see how well it worked with individuals and quickly realized we could reach hundreds if not thousands of prospects. So what if more than half of the recipients did not want, didn’t need and had no interest in what we were selling. Who cares? Buy a list, use a standard template for everyone and, bam, hit send. Well, people got annoyed, spam filters created, and CAN-SPAM enacted. Why the history lesson? Because it is important for new sales managers and sales professionals to learn from the past. It is important to learn the difference between quantity (mass messaging) over quality (the importance of personalization) in selling. E-blasting is a short cut that will not work; in fact, you risk banishment from your server or, worse, punishment by Google. As soon as a new communication or software tool becomes available, salespeople have a tendency to exploit functionality to embrace interruptive behaviors. It is not just e-mails. Phone calls have morphed into robo-dials. I can not imagine any manager who, by using this method of selling, believes they are leaving a positive impression. Blasting Fax messages became so absurd and worthless; recipients put trash cans under the machine to capture our messages. Today is no different; look at LinkedIn. Originally designed for like-minded business subscribers to network and share business ideas. More and more executives are airing their annoyance and frustration with the daily barrage of lousy sales offers that are poorly executed from salespeople they do not know. Amazingly, sales folks still blast out e-mails and over-use LinkedIn InMail messages with deception hoping to engage with executives they do not know and have no connection. Then they wonder why their sales messaging is not working. There is a difference between marketing and selling. Marketing campaigns in various forms engage your prospect. The sales email, which follows the engagement, is designed to be individualistic and tailored to address the needs, concerns, and challenges facing the prospect. Yeah, I Want More Sales Tips. Sign Me Up! Do you want to improve on your sales message? Begin by developing a marketing campaign that encourages engagement. Here are some tips from a previous blog, Can Sales Develop Trust on LinkedIn? 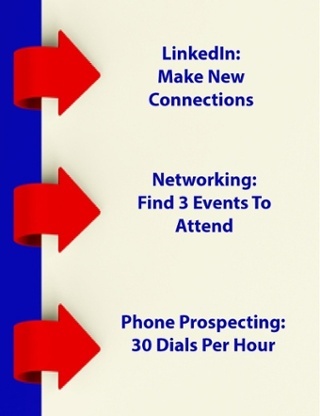 Connect with prospects on issues that are important to them. Provide ongoing advice and education as your prospects move along on their buyer’s journey from awareness to decision making. That means creating personalized content in all your email messages fax messages. Yep, it is hard. However, what’s your alternative? Keep blasting e-mails that don’t work, continue to frustrate prospects and eventually risk getting booted off the internet? If you want to improve your sales performance, apply these suggestions when you write your sales emails. If you liked this blog, please share on social media. If you are a business owner, sales manager or a sales professional looking to develop your growth strategy, let’s talk. I am Will Harley, with Harley-Consulting, a growth services company. With over 20 years of business leadership experience, I leverage my experience to help professionals achieve their goals. To learn more, click on subscriber section. Or, leave a comment; I promise to reply immediately.